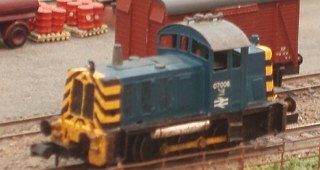 Body kit for a British Rail class 07 diesel shunter around the Bachmann Farish class 04 chassis. The body is of entirely of brass construction with overlaid bodyside detail, a choice of buffer beams with or without a coupler socket, and individual etched bodyside doors. You will need to provide buffers and any fine detailing such as horns you wish to fit. The kit contains a fair number of parts but the noses are tab fitted to the chassis to make construction as simple as possible. The chassis requires minor modifications (removing the jackshaft and trimming the end mounts). 3D Printed Ruston 48DS diesel shunter. This is a single part 3D printed shell which can either be used to build a dummy locomotive or can be fitted to the 4.5v Japanese TU-7T chassis to build a motorised version. You will need to supply chassis, couplings (if desired), paint and decals. Class 25/1 conversion etches for class 25/3. Some additional filling and filing is required to fit these parts. Converts a Graham Farish, Or Bachmann class 25/3 locomotive into a 25/1 with bodyside steps. Class 25/1 conversion etches for class 25/3. Some additional filling and filing is required to fit these parts. Converts a Graham Farish, Or Bachmann class 25/3 locomotive into a 25/1 with plated steps. Class 24 and 25/0 conversion etches for class 25/3. Some additional filling and filing is required to fit these parts. Contains a range of parts including multiple roof detail etches sufficient to convert a Graham Farish, or Bachmann class 25/3 body into a 24/0 24/1 or 25/0 with bodyside steps. 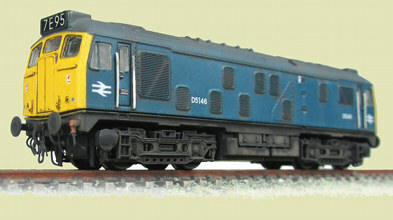 For the current Bachmann class 24, see DET34. Class 24 and 25/0 conversion etches for class 25/3. Some additional filling and filing is required to fit these parts. Contains a range of parts including multiple roof detail etches sufficient to convert a Graham Farish, or Bachmann class 25/3 body into a 24/0 24/1 or 25/0 with plated steps. 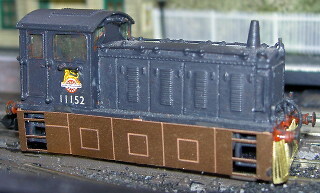 Side skirts and cow catchers for the Graham Farish by Bachmann class 04 diesel shunter. Designed to be easy to fit. No soldering or cutting of the original model is necessary. Supplied so it can be built with or without the couplings. One pair of nose doors with plated seams, one pair of original style, one pair of plated seams with Scottish style sealed beam lights, one pair of original style with sealed beam lights. Set of four cab door etches to help convert a Farish by Bachmann class 24 into a 25/1, or with improving the look of the older Graham Farish, and Farish by Bachmann class 25/3. As used on our Coradia conversion kit. Set of four. Thin steps designed to fit the BH Enterprises Class 05 kit and provide sufficient motion clearance to fit the kit onto the Bachmann Farish class 04 chassis. Pair of new style HST nose grille/light overlays for the refurbished HST lighting with two lamps each side of the grille. To fit the Graham Farish/Farish by Bachmann HST power cars. Fine etched outlines to stick inside the windows of the Farish HST to represent the distinctive sunshield seen through the cab windows. Bulk pack of headcode discs, 50 open, 100 closed as a bulk pack. Designed for those who detail a lot of locomotives. A set of etches to produce bogie side frames to provide correct bogies for the Nthusiast Resprays and Worsley Works class 22. Each pack contains enough side frames for one locomotive. Pack of two replacement etched roof grilles for a class 40 locomotive. Pack of two replacement etched roof grilles for a class 50 locomotive. Replacement fine etched roof fan grilles for the Worsley Works etched Warship kit. Detailing parts for the Heritage N/Its-N-Gauge class 27 resin kit. The etch consists of: replacement roof fan grille, square roof radio pods, cab bogie steps, windscreen wipers, snowploughs, nose door, lights (early high intensity lighting), extra small circular bodyside grilles for the 27/2. Detailing/updating parts for the Graham Farish by Bachmann class 24/0. The etch contains the following. Replacement roof grille and fan, fold up headcode boxes for 24/1 and 25/0 conversions, early round exhaust grille, alternate battery box doors, Inverness slatted steam boiler grilles, nose door lights (early high intensity lighting), plates for bodyside steps. 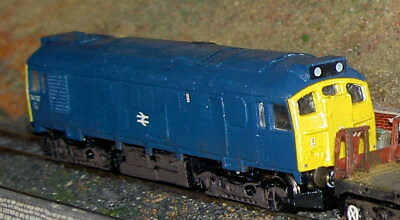 The photograph shows a professionally built Class 24/1 conversion by Mercig Studios using this kit. Replacement etched roof grille designed for the TPM class 26 kit. An etch of the end rails on the class 02 'Yorkie' diesel shunter. 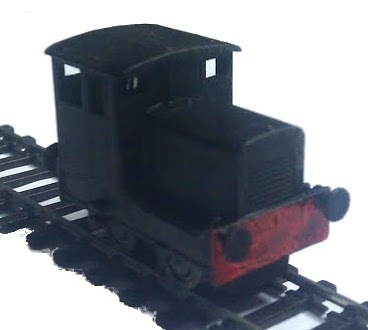 Designed to be used with the Worsley Works Class 02 scratch aid bodyshell. Fine grille overlays for the Worsley Works class 41 warship. These are designed to lift the model by overlaying the flat grilles on the etched kit with raised grilles and bodyside door. Etched main roof fan grille for the Its-N-Gauge/Heritage N class 27. 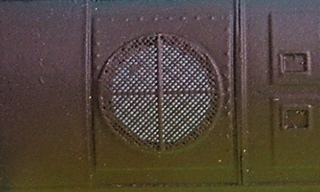 Etched main roof fan grille for a class 44 diesel. Etched main roof fan grille for a class 45/46 diesel. The Southern railway designed this class of diesel locomotives shortly before nationalisation. Two were built in 1951 (10201/10202) and a third slightly different locomotive was built in 1954. They worked the Southern before being transferred to the Midland region. They were withdrawn in 1963 and scrapped in 1968. 10203 formed the basis of the design of the later class 40 locomotives. The kit consists of a fold up shell and cab ends, roof panel overlays and main grilles as well as optional nose doors as were fitted upon their transfer to the Midland region. The kit is designed to fit a Graham Farish (Poole) class 25 chassis with a pair of class 40 bogies fitted. This is a scratch aid kit so you will also need filler to produce the domed roof ends, head code discs, grille mesh, and plasticard or similar to fabricate the tank between the bogies. You should have some understanding of maintaining, dismantling and reassembling Farish chassis to attempt the necessary chassis conversion work. Body shell etches for the prototype diesels 10201 or 10202. The picture shows the model as built by Douglas Sutherland. Body shell etches for the prototype diesel 10203.